Those are name I shan't forget. Because they had everything I wanted to get. Nanaladida....then show off on the net. - Panda's Dream Contour Stick 03 ~ This is a perfect shading stick for my skin tone. Love it! - (FREE with purchase) Panda's Dream Special Kit containing: (1)The Chock Chok Green Tea Watery Cream, and (2) Panda's Dream White Magic Cream. - Etude House Precious Mineral Magic Any Cushion in Magic Peach ~ This is one of the corrective primer cushions. - Kate Eyebrow Color in shade BR-2 ~ Love, LOVE! - Pantene Pro-V Milky Treatment Intensive Treatment ~ Already used 2 of them. Hello, soft soft hair! - Hello Kitty Lip Balms ~ I got 2. One will be included in the upcoming giveaway. What stayed in you head? I pretended to be blind to all the other international brands, you know. 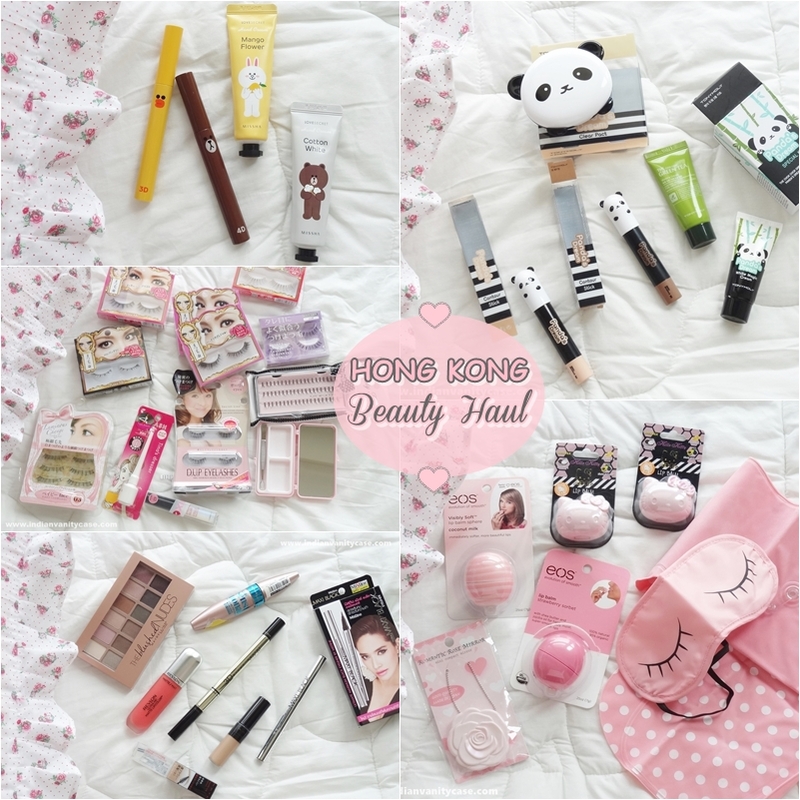 So cute products. Do a look using the new products. I scrolled up and down and down and up for minutes and minutes, oh wait it is close to an hour now. Damn, my face is covered with drool. The Biore cleansing liquid is really good. Super convenient. I love it except that when it gets into my eyes it burns. Else it is super good for travel. Tony Moly & Mistine, Mistine is also available on Amazon now. What's a mascara remover? Like a makeup remover just for mascara? Awesome stuff!!! I hope we get those hello kitty products in india soon..
Great haul! I wish BB cushions were available in India too.. "sigh".. and Maybelline Blushed nudes palette..